Downtown restaurant seeks compensation for Nova Centre construction. The Wooden Monkey restaurant is “leading the march” in filing its claim with the Utility and Review Board, says lawyer Ray Wagner. 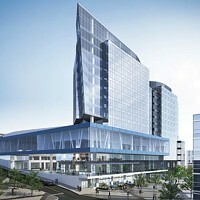 Wagner is representing multiple downtown businesses in a lawsuit against the municipal, provincial and federal governments, the Halifax Convention Centre Corporation as well as Argyle Developments Inc. and its parent company Rank Incorporated. 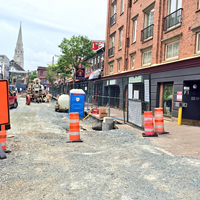 Construction on the Argyle Street Nova Centre began more than four years ago. Nearby business owners have repeatedly said the disruptions caused by work on the convention centre has resulted in lost revenue and damages. For the Wooden Monkey, those losses add up to $508,107, as outlined in a statement of claim filed this week with the NSURB. Wagner says there are multiple factors involved in the claim, such as power and water getting cut off with little notice and even an instance of basement flooding. Up to this point, Wagner says they haven’t received a reply from any of the respondents. 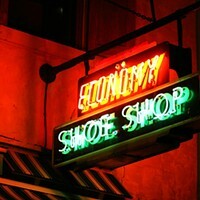 Downtown business says its sales are down 50 percent since disruptive streetscaping project ruined the summer. Victor Syperek would also like some compensation from the city, thank you very much. 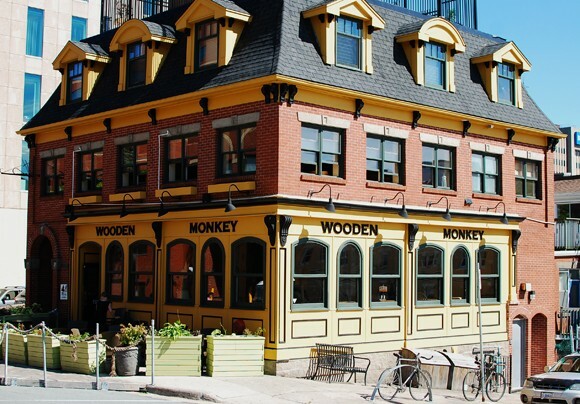 Mayoral candidate Lil MacPherson's Wooden Monkey amongst local businesses going after HRM.